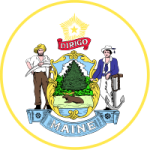 The State of Maine Office of Family Independence Division of Support Enforcement and Recovery (DSER) assists families with child support issues. The Division implements policies and regulations to make sure that children receive the financial support they are due when one of the parents no longer lives in the home. The Division of Support Enforcement and Recovery can help a custodial parent locate a non-custodial parent who may be out of contact. They can help with establishing paternity. In addition, they can help by forcing nonpaying parents to pay by diverting tax refunds, wage garnishment and license non renewal. DSER is also a child support payment clearing house. They receive payments and distribute payments and keep an accounting of payments made.